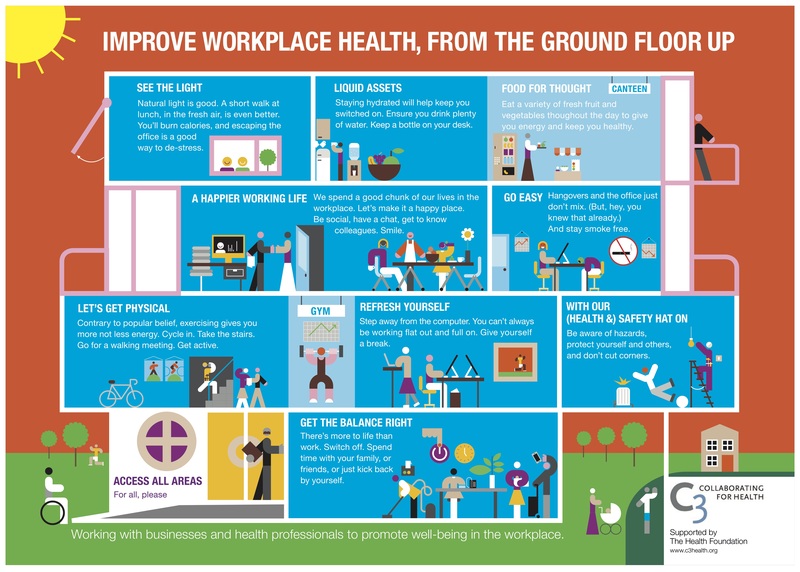 This week we were excited to launch our new workplace health infographic at the annual Wellbeing Symposium, an event we co-organised with the Wellbeing People and Kent County Council. We’ve gotten great feedback and wanted to share it with those who couldn’t make it to the Symposium yesterday. 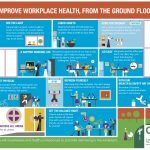 ‘Improve workplace health, from the ground floor up’ features a series of 10 rooms in an office building, detailing different tips for employers and employees wanting to make their workplaces a healthier place to be. And, since many adults spend a significant proportion of their lives in the workplace, this makes it a crucial place to overcome the risk factors that can lead to non-communicable diseases. Please help us spread the word by downloading your copy of the infographic today and sharing it with your networks. And let us know what people think when you hang it at your workplace! 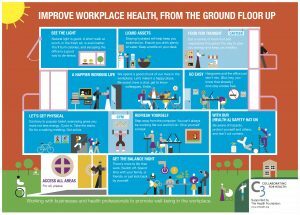 This infographic was part of work supported by the Health Foundation about improving the health and wellbeing of the NHS workforce. You can access reports from our NHS workforce project here. A big thank you to illustrator, Peter Grundy, and advertising agency, Libertine, for their assistance in creating this wonderful infographic.